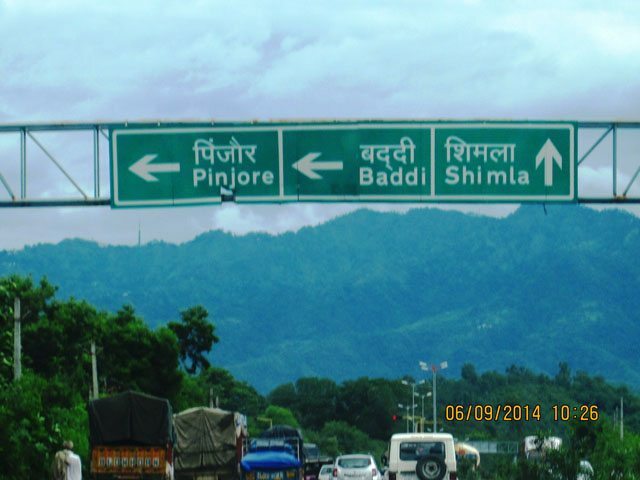 Weekend Drive to "The City Beautiful" Chandigarh - Ghumakkar - Inspiring travel experiences. In our pursuit to exploring Punjab, this time around our destination was Chandigarh, the capital city of both Punjab and Haryana, located at a distance of about 260 kms from Delhi. Early 5th Sep morning we fuelled our car tank and started the journey. The route to Chandigarh traverses through north Delhi to GT Karnal Road/NH1, Sonepat, Panipat, Ambala, Ambala-Chandigarh expressway finally to Chandigarh. Although it’s a real pleasure to drive the entire stretch with broad roads, scarce traffic and high speed above 110 kms/hr at some places, we got struck at Shahbad and wasted an hour due to a huge truck that had turned turtle. One can also see the city of Kurukshetra enroute with a giant figurine of Shri Krishna with Arjun on the chariot giving Geeta Gyan at the very entrance arch of Kurukshetra. We thus reached Chandigarh an hour late than usual, it took us about five and half hours instead. 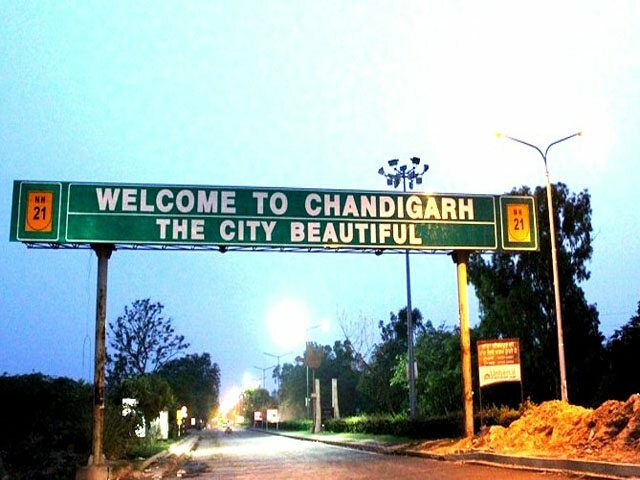 We were greeted by the “Welcome to Chandigarh- The City Beautiful” sign. It appeared quite strange to us reading “city beautiful”, but we soon realized how true the adjective was. 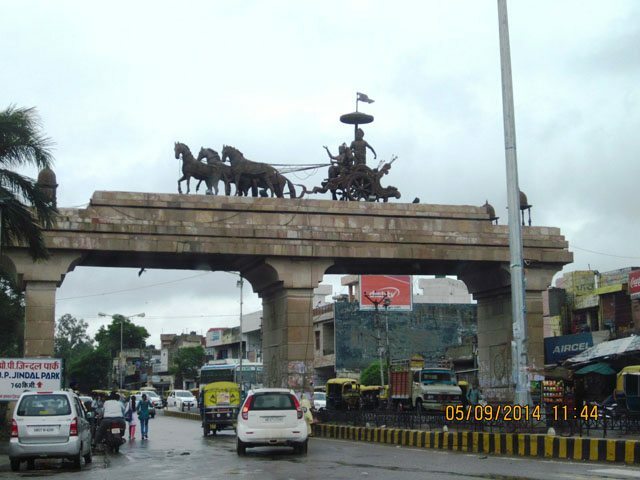 Driving through the arch we reached our hotel GK International in sector 35B. We had a nice sumptuous lunch and waited for the incessant rain to stop so that we could embark upon our exploration of the city but to our dismay it kept raining and we kept praying the next day to be a clear sunny day. 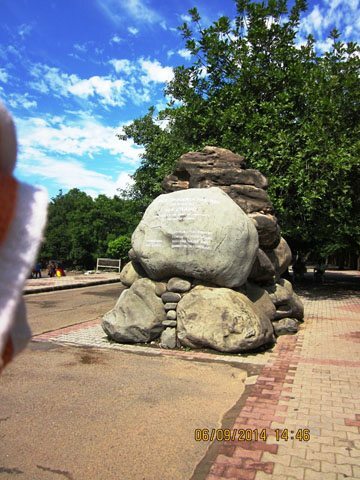 We had heard quite a lot about Chandigarh-the planned city and we wanted to experience the city rather than look through it. God heard our prayers and by 8 am morning on the 6th, the clouds began to give way to a lovely sunny day. We started from our hotel with our GPS on phone, here i should mention, “Here Drive on Lumia” is the best companion one can ever ask for, the accuracy and prompt alignments are worth the praise. We didn’t have to ask for a single location direction. 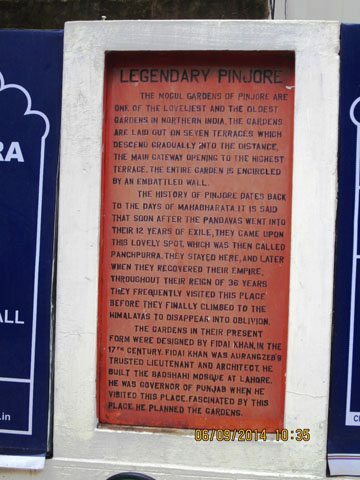 We headed for the Pinjore Garden first located on the Chandigarh -Kalka highway through Tribune Chowk. 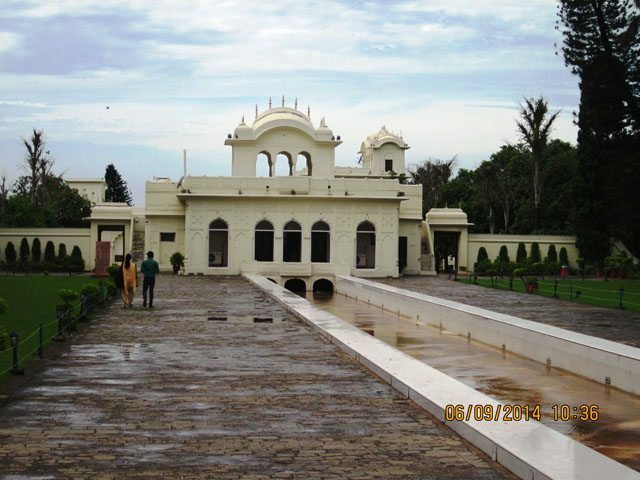 It takes about 35 -40 minutes to reach the alluring Pinjore Gardens. 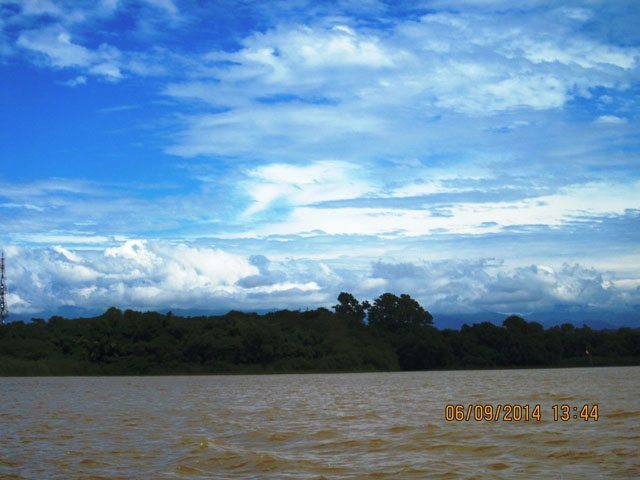 The weather was amazing with blue mountains at the horizon and clouds playing hide and seek with the sun. 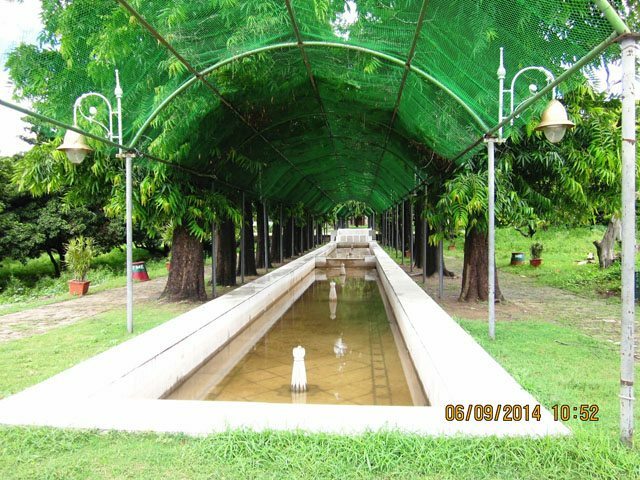 Pinjore Garden is also known as Yadavindra Gardens and was established in the 17th century under the aegis of Aurangzeb by his architect Nawab Fidai. 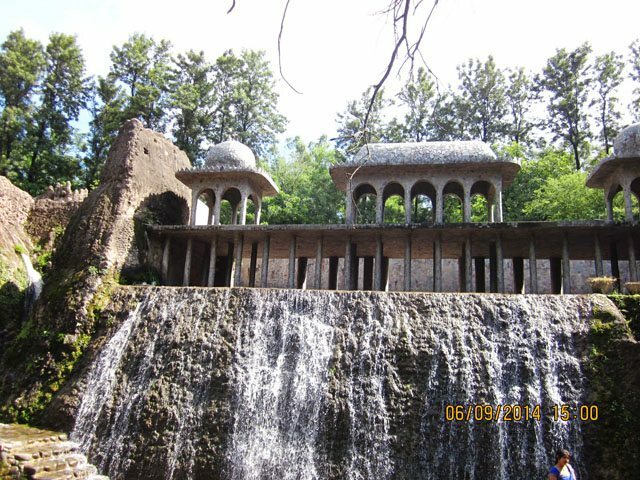 The garden resembles the Chasm-e-Shahi of Srinagar in many aspects with its seven terraces and flowing water fountains. The walk through the garden that is wreathed by Cypress and Palm trees is very soothing. One tends to forget everything else and gets enthralled by the colorful flowerbeds and melodious chirping of the birds so also the hanging bats. We were teleported back to the time when the kings and queens of the fore walked through these exuberant gardens. As we walked out of the angelic garden we refueled ourselves with a nice glass of fresh juice. One can also enjoy adventure rides which was under renovation when we reached, camel rides or stay at the majestic palace turned hotels here. While driving back from Pinjore Garden to the city, we detoured to visit the Chandi Devi temple, the Goddess on whose name Chandigarh is coined. We missed the temple while heading towards Pinjore Graden since the temple is hidden behind the railway line. Thus we decided to take the blessings of the Goddess way back. Just before the toll gate starts one can take a U turn and park the car along the entry of the railway line. The temple is a walk of less than a minute from here. 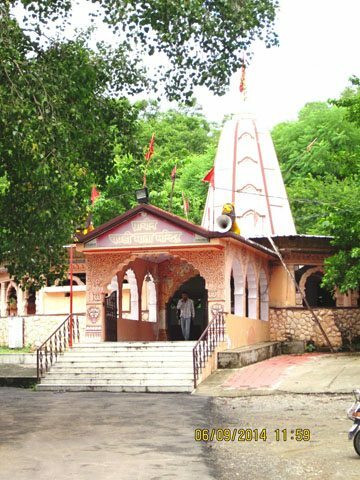 The temple is a sidhi peeth and hundreds of devotes throng the temple during Navratas in October-November. Our next stop was at Gurdwara Nada Sahib located at Sector 3, Panchkula. 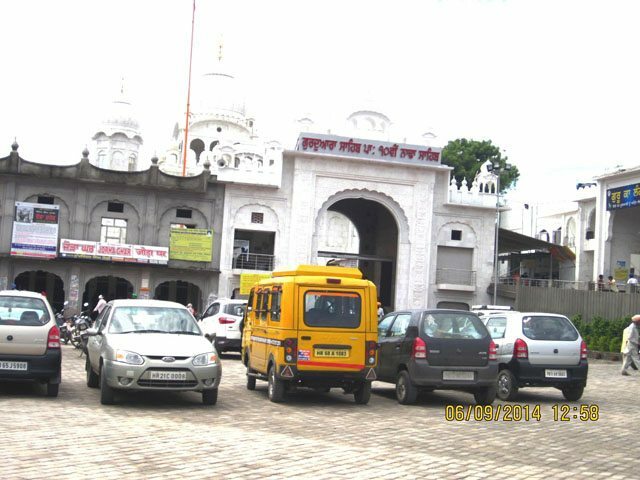 The gurdwara stands tall on the bank of river Ghaggar about 15kms from the city of Chandigarh. It is said after defeating the Mughals, Guru Gobind Singh and his followers rested at the place where the shrine stands today. Guru Gobind Singh named the shrine on the name of Babu Nadu shah who took care of the guru and his soldiers dedicatedly. Here we snatched sometime to sit inside the gurdwara and listen to the calming kirtans. Heading straight from the gurdwara we entered the city to reach the most famed artificial lake fondly known as the Sukhna Jheel. 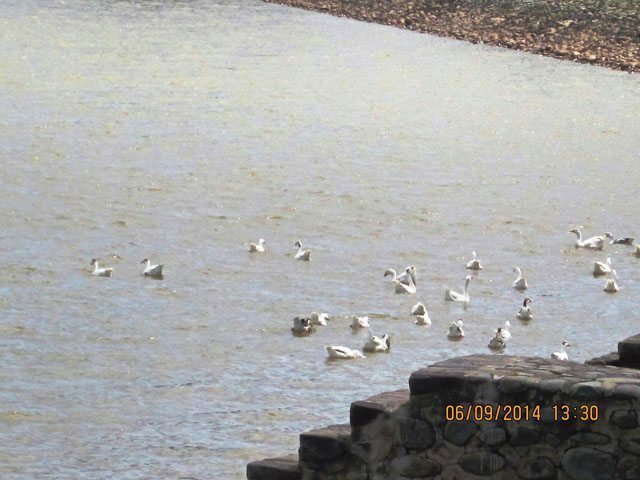 The lake was designed by Le Corbusier and is created by damming the stream coming down from the Shivalik Hills. To conserve the nature, no streamers or motorized boats are allowed here. It’s a delight paddling through the magnificent cerulean lake with various migratory birds like Cranes, Storks and Siberian ducks diving along with the boats or busily walking on the island tending to their routine activities. The island which stands in the center of the lake holds a windmill and is restricted for entry. The cacophony of hundreds of birds is actually sweet to ears! 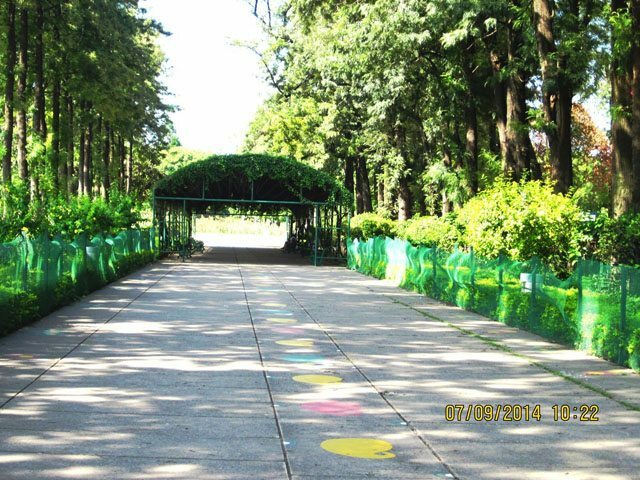 A kilometer walk from the Sukhna lake is the popular Rack garden. 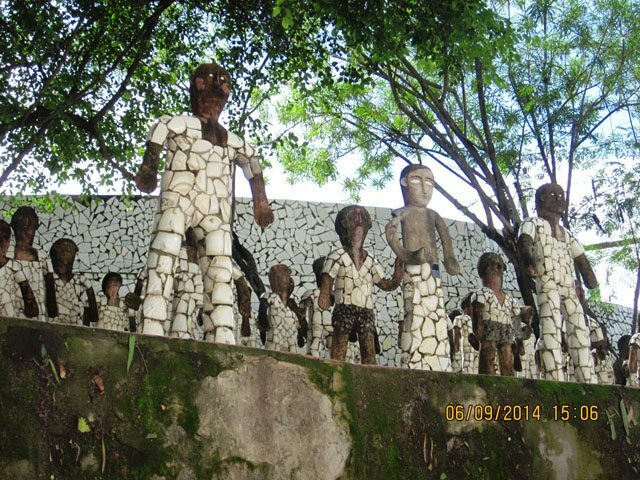 The story goes, Nek Chand the creator and designer of the garden, carved out this fantasy world with his imagination from the modern city wastes such as glass, bangles, ceramic, pottery, wires etc. It’s said he built the entire garden secretly in about two decades bit by bit. Visiting the garden can only one appreciate the patience and workmanship of this great person. After spending the entire day exploring the city we were enough tired to witness the invigorating gardens of the city. Thus we decided to take a break for the day and resume our exploration of the famous city gardens the next day. Early morning being Sunday, and also the day to start our journey back to Delhi, we checked out from the hotel to visit the much talked about gardens of Chandigarh. The drive was real smooth with broad roads and next to no traffic. 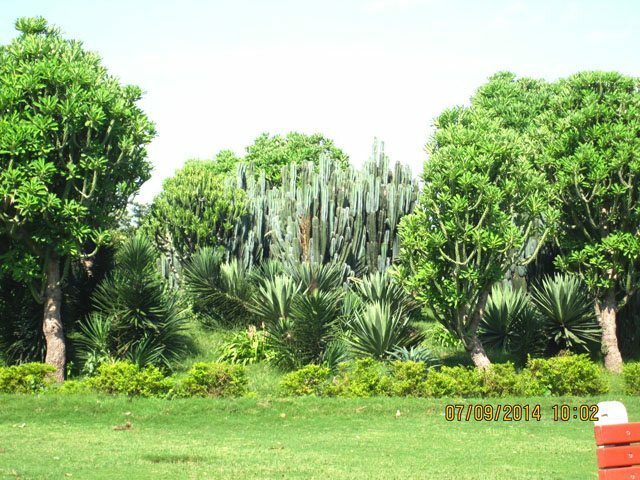 Our first choice was Cactus Garden which is located in the industrial belt of the city. An ecosystem of cacti and succulents, landscaped by Dr. J.S Sarkaria, the garden houses various exquisite varieties of cacti ranging from few inches to about 11′ tall. The next garden on our list was the riveting Rose Garden or the ZakhirHussain Rose Garden named after our third president Dr Zakhir Hussain. The garden was built in 1967. It comes to its full bloom in spring and winter and is said to showcase close to 1600 varieties of roses. Strolling through the well laid garden one can read through the imaginative names of the roses! The garden houses other trees and plants of medicinal values too. 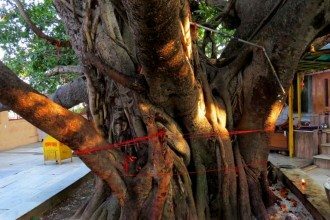 In all about 17000 species of different varieties of plants can be found here including bel, gulmohar, camphor, harad etc. the garden is best suited for morning or evening walks. 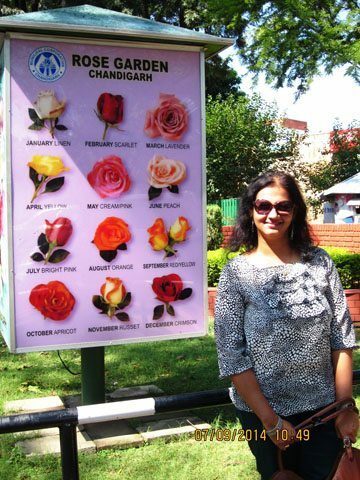 However, the garden is best visited during February and March when the annual Rose Festival is held in Chandigarh. 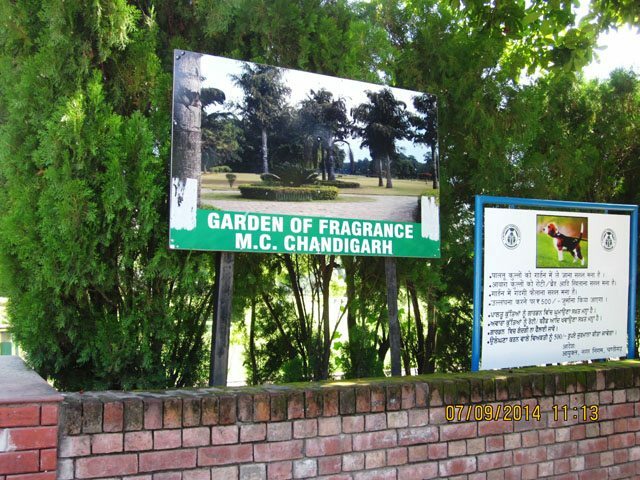 The third garden we headed for was the Garden of Fragrance, as the name suggests, the garden is replete with various aromatic plants. 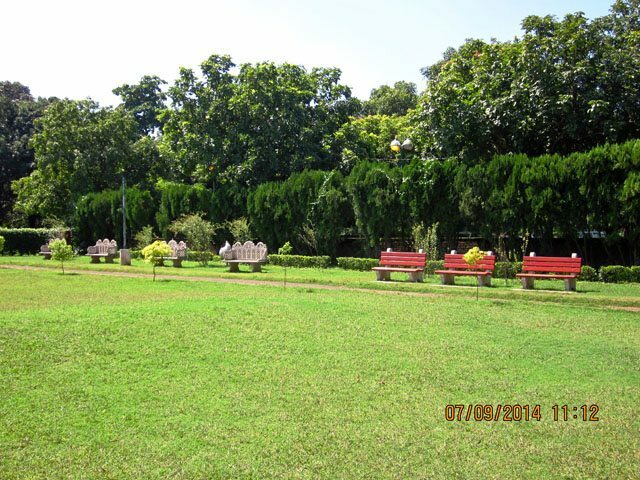 The garden is one of the most desired gardens of the locals with landscaped grass and trees, chirping birds and lanes cut for people to take walks, enjoy the nature, jog or simply admire the beauty of nature sitting on the benches. Although our choice of time was not good enough since it was about 11 am and sunny, it’s said the garden smells divine with flowers like Jasmine, Champa, Roses, Nightqueen etc. Thus our journey ended with exploration of one of the most enticing cities of India and we started for our journey back to Delhi to start afresh for another routine week ahead but surely with great vigor. Next articleरोहतांग की कठिन राह…..बर्फीले पहाड़ और प्राकृतिक सौन्दर्य से भरपूर सोलांग घाटी. Very beautiful Post of the Most Beautiful City of India. All Pics used in the post are very attractive. Date and Time given on pics useful to future travellers to manage their trip to the City. Well planned trip. Awesome Description of the city…..
luved the way u expressed the beauty of the city,its one of my favourite place too. Thanks for the appreciation Rashmi. Hope you remember your Delhi trip in December! Beautiful post on Beautiful City . I live in Ambala which is just 50 KM away from Chandigarh and have visited this city 100 of times. In fact I worked here for one year. 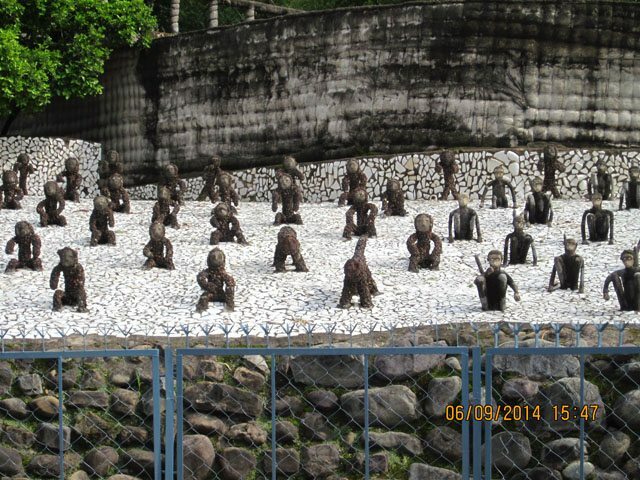 There are lot of places in Chandigarh for visitors. I think you missed Naina Devi Temple complex. Any way thanks for sharing this wonderful post. 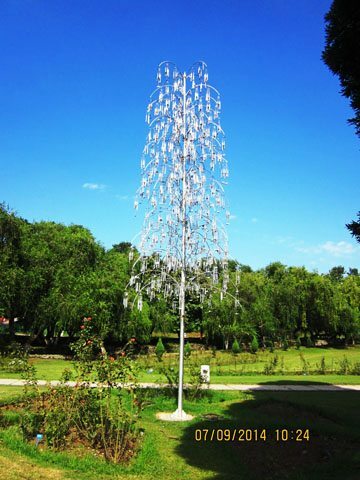 Chandigarh is indeed one of the best planned cities i have visited. I missed Naina Devi Temple, i couldn’t actually find any directions to the temple while coming back from the Chandi Devi Temple. Very nice post Mala ji, you have described it so well. No doubt chandigarh is the CITY BEAUTIFUL. Have heard about Morni Hills. Will surely plan a visit to the place soon. Thanks for making it possible for us to cover 500 KMs along with sight scenes in just 500 words. The post is so informative, specially for people like me, who intends to capture this beautiful city. Thanks for your appreciation Arun. 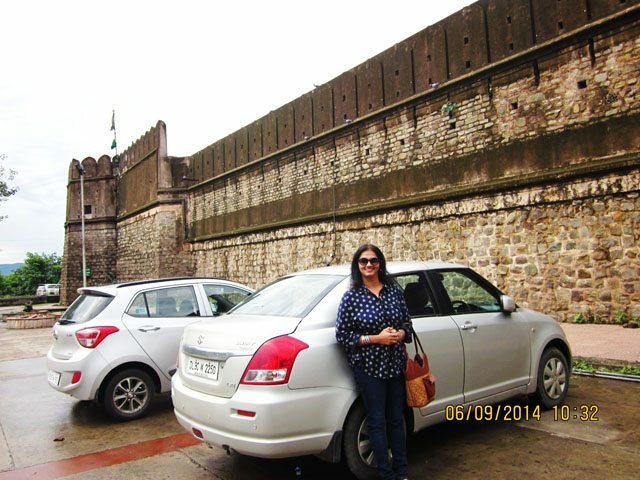 And I was at Chandigarh the prior week. :-) I have stayed in Chandigarh for about 6 week (was working in a company there) in 1999. Have visited it a few times after that. This time, I went back to Sec 17 (satara as it is fondly called) and the ‘Hot Millions’ to see how they are doing. Sec 17 had lost all its patrons to new age malls. We did have our dinner at ‘Salad Palace’ (right on top of HM1). HM was kind of “THE Place” 15 years back. I could not visit any of the local attractions because of work so reading your log has compensated my loss. Chandigarh on my radar for a long time but could not travel so far :). Let’s see if your post help in planning the trip soon. Beautiful story with equally beautiful pictures. Thanks for sharing. 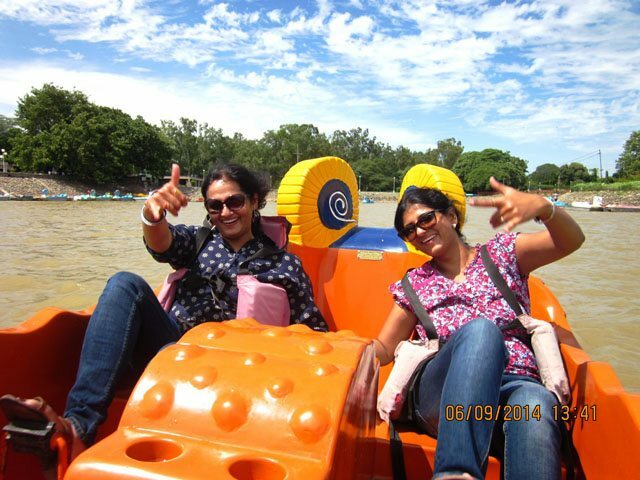 Hi Mala, today a friend of mine invited me to Chandigarh and I decided to find out what our Ghumakkar friends have to say about this CITY THE BEAUTIFUL. The first post that greeted me was yours and it didn’t disappoint me even a bit. You have a flair for writing travelogue and I have decided to look for more of your posts. Besides your colourful text, your pics also have come out nicely. Hope you write regularly. What an amazing place it is as i also have been there. Chandigarh is truly CITY THE BEAUTIFUL ! thank you Ms. Mala Raman for sharing.